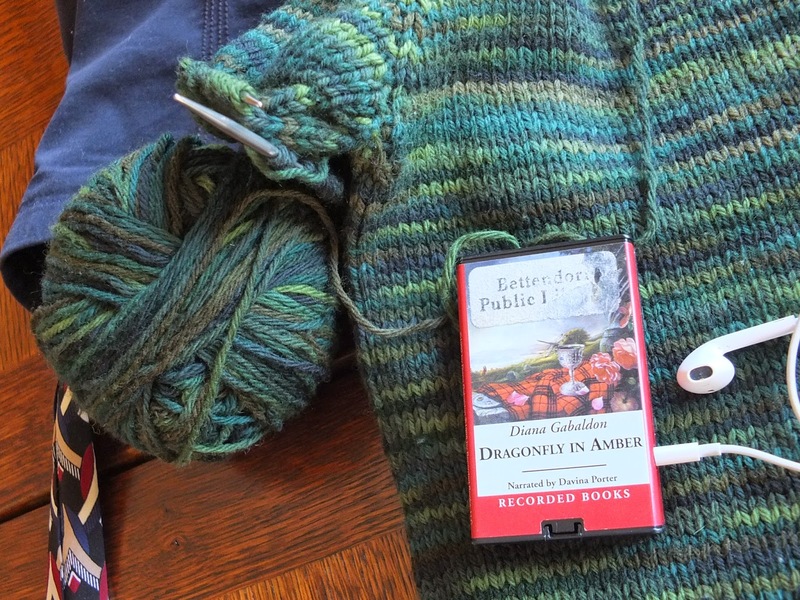 I love the Yarn Along hosted by Small Things; in which we share what we are reading and knitting (or crocheting); two of my favorite activities! I am re-doing the sleeves and adding a hood to the first boy sweater I ever made. The Cascade 220 has held up beautifully through the years, it's just the style that needs an update. Photos of finished product forthcoming. The book is the second in the Outlander series...sigh. Not exactly intellectual fare, but not stupid either, and lots of history from the places my daughter and I visited in Scotland back in 2010. What are you knitting/crocheting and reading? Please share, let's try the system that Ginny is using over at Small Things; post a photo on your blog or Flicker or Google and post the link below to share. I would love to see what your projects are, both literary and woolish! PS This is post number 1000! I did not see it sneaking up on me, so I had no plans for a celebratory event...but I will think of something soon! Really lovely knitting, Marlis! Thank you so much for joining! As for the others, frustrated not to be able to post a photo; I am working on simplifying the procedure. If you are on Twitter, you can post a link to a photo there. Thank you to http://helplogger.blogspot.com/2012/03/add-videosimages-in-bloggerblogspot.html for the instructions on how to allow posting of images from readers! See below for instructions.